This property is 15 minutes walk from the beach. 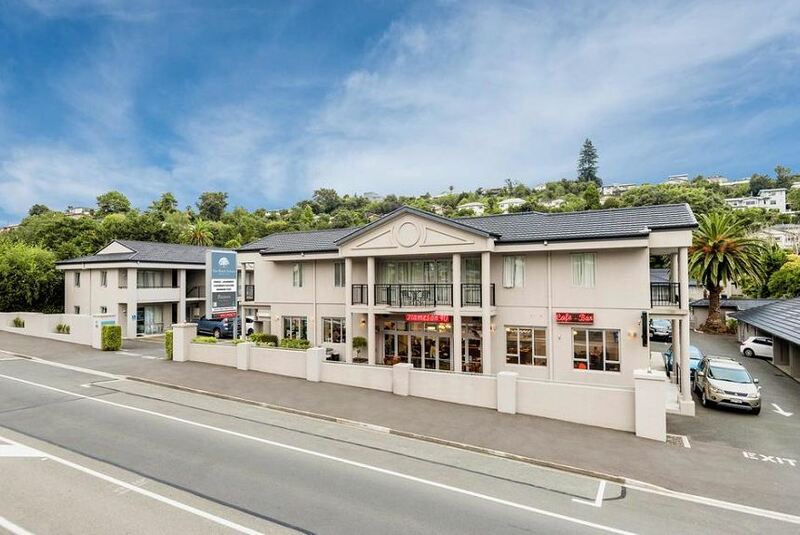 Situated in Nelson City Centre, The Hotel Nelson is a 4-star Qualmark rated property within walking distance of Nelson Saturday Market, and the main business, shopping and entertainment precinct. It offers an outdoor heated swimming pool, complimentary newspapers, and free WiFi. Situated across 2 floors, each of the 7 studios and spacious apartments offer a flat-screen TV with satellite channels. Each studio offers a refrigerator and tea and coffee making facilities. Some apartments also include a fully equipped kitchen and a spa bath. The private bathrooms feature a shower, hairdryer and free toiletries. Shared laundry facilities are located on-site. Flames on 40 Restaurant & Bar is opened for breakfast and dinner daily offering modern New Zealand cuisine produce sourced from the region. Room service for both breakfast and dinner is available. Tahunanui Beach, Richmond Aquatic Center, the World Wearable Arts Museum, Nelson Hospital.